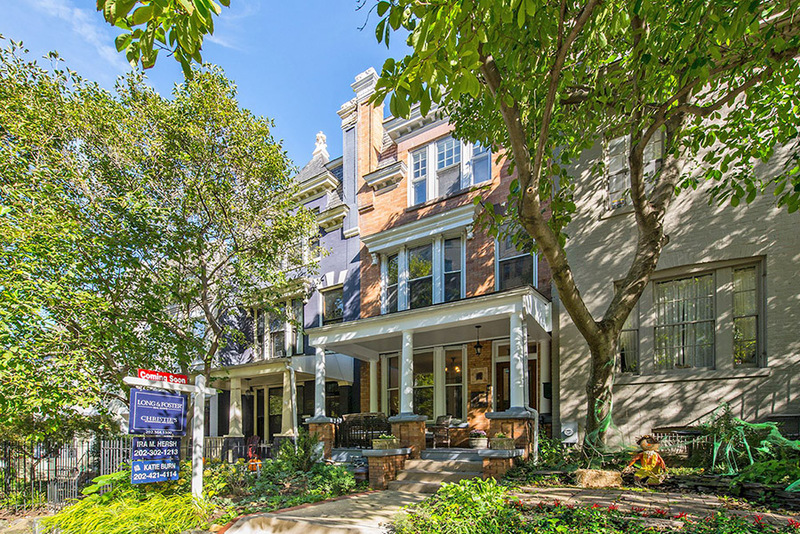 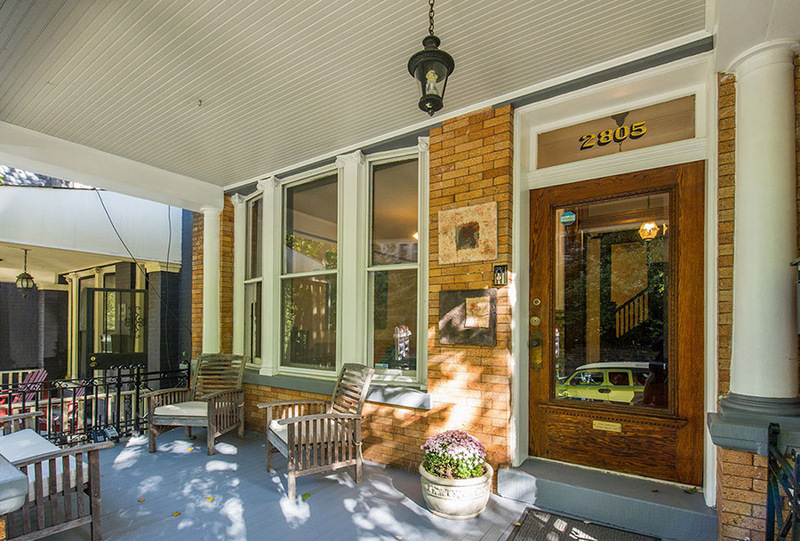 Welcome to this gorgeous four-level, six-bedroom, three-bath home with secured parking in Adams Morgan, steps from the National Zoo. 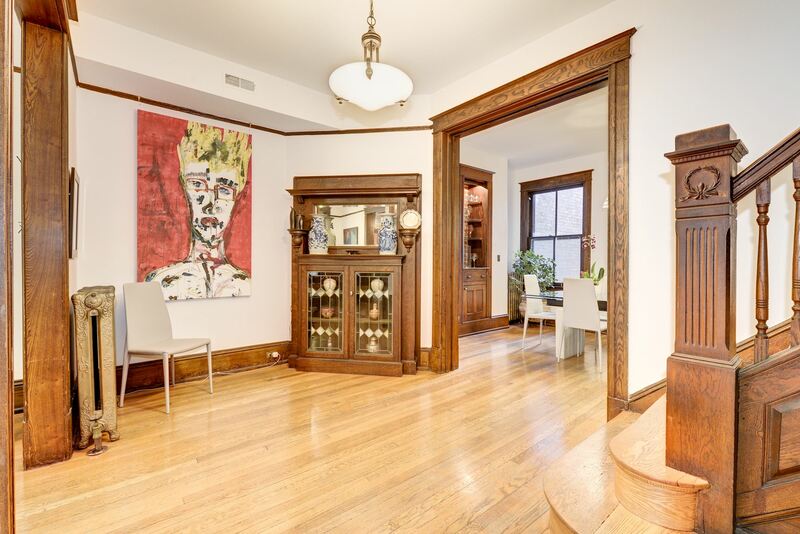 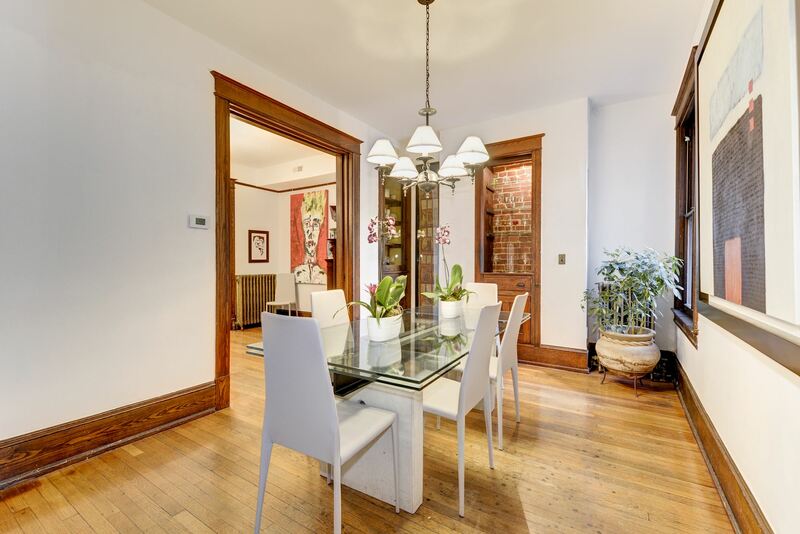 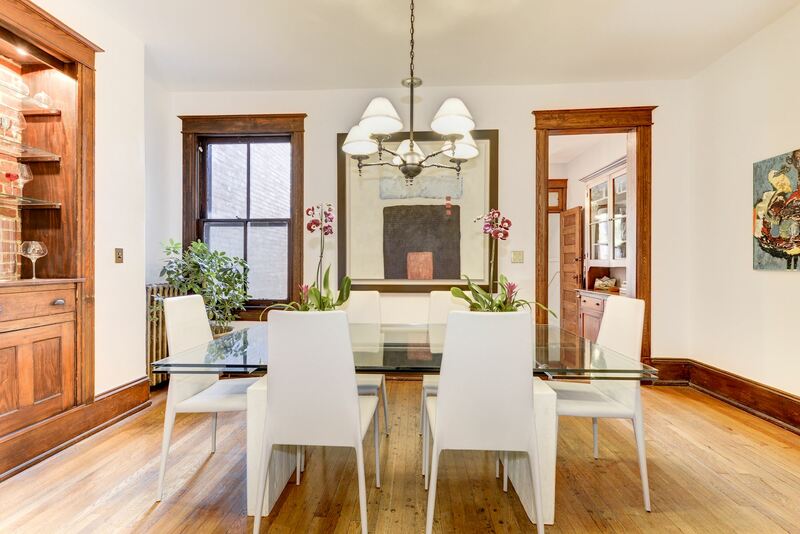 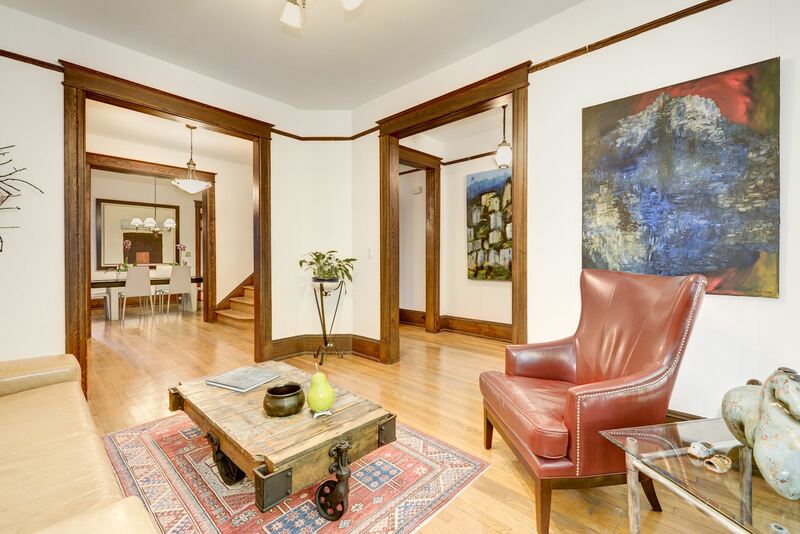 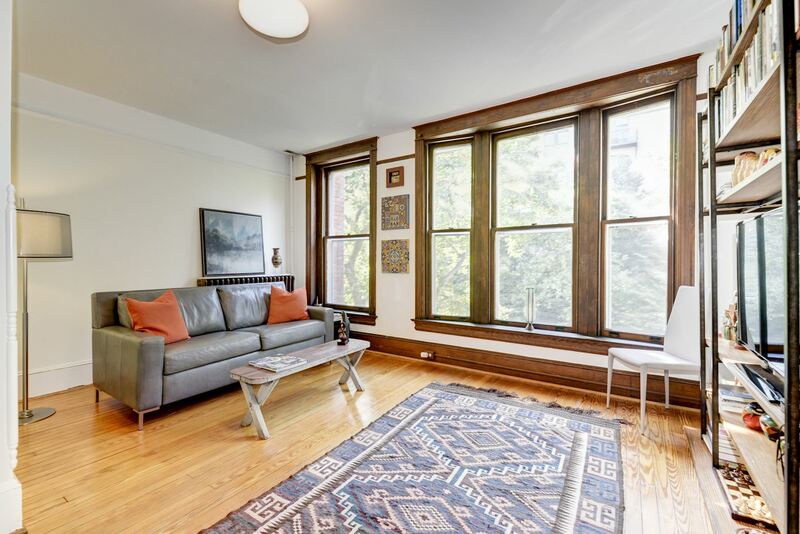 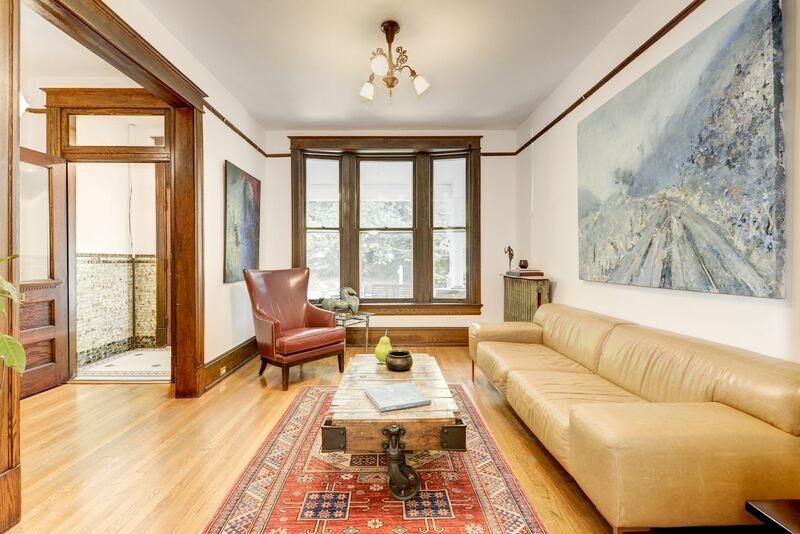 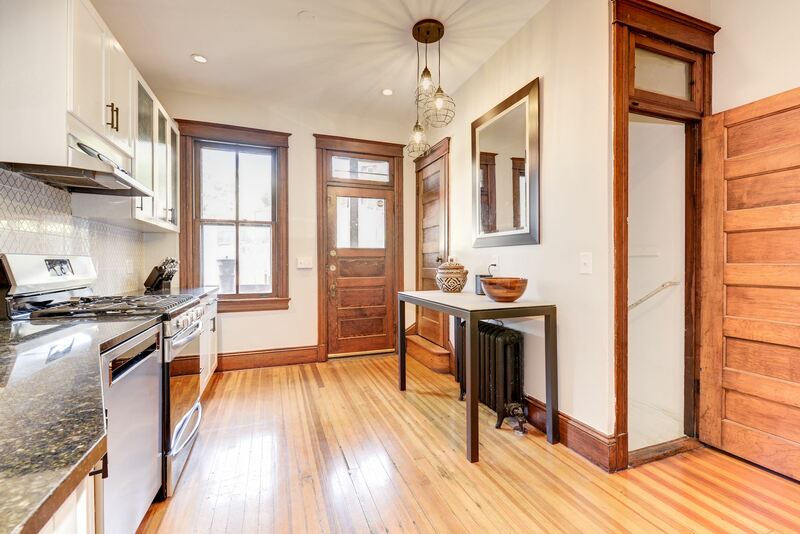 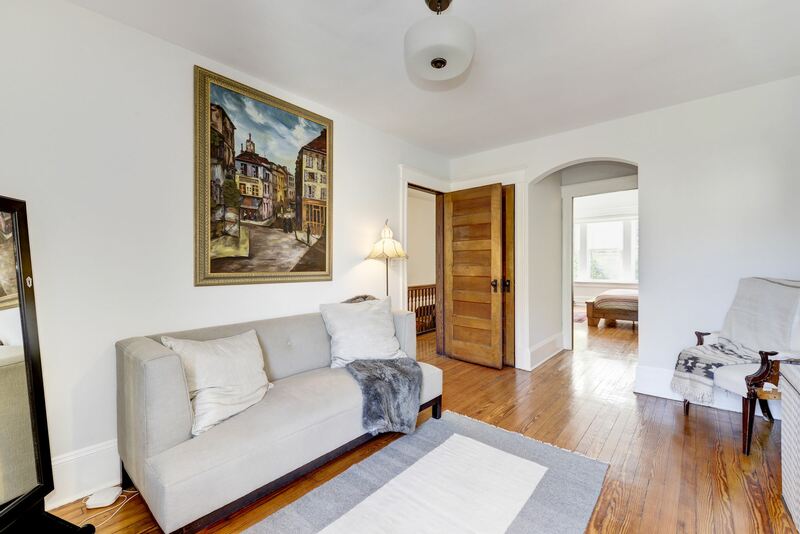 This grand 1910 townhouse measures over 3,500 square feet of living space and has been beautifully renovated and updated for modern city living while still retaining lovely original details, including oak trim, three-part bow windows, skylights, wood floors, built-in china cabinets, pocket door, five-panel wood doors, and more. 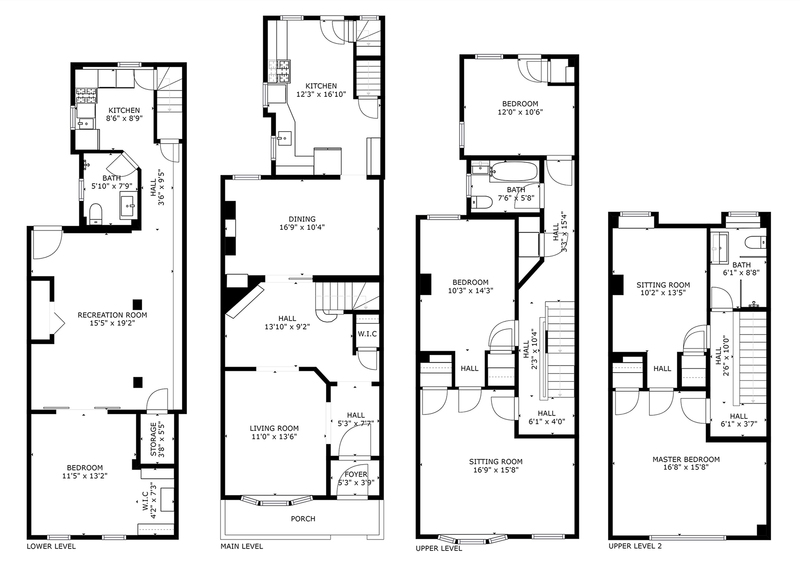 The main level offers grand formal rooms, including an inviting living room, reception hall with paneled staircase, and generous dining room with built-ins. 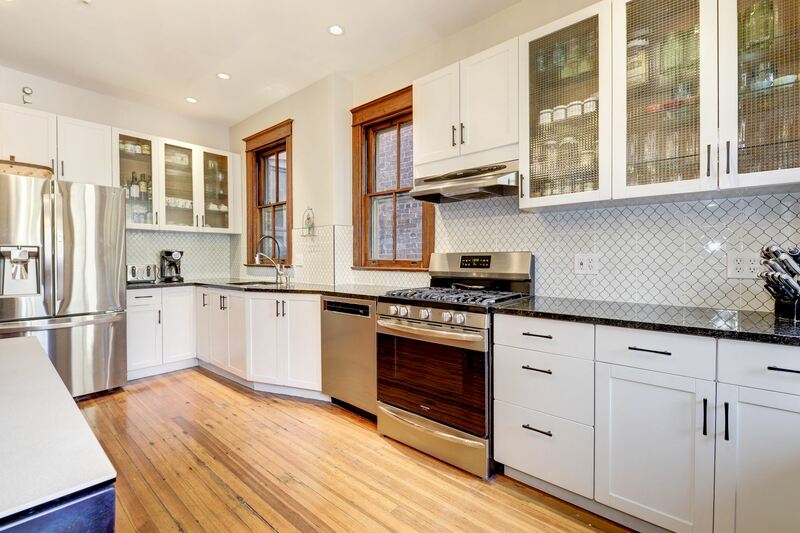 The spacious kitchen has been handsomely updated with stainless steel appliances, recessed lighting, and designer backsplash. 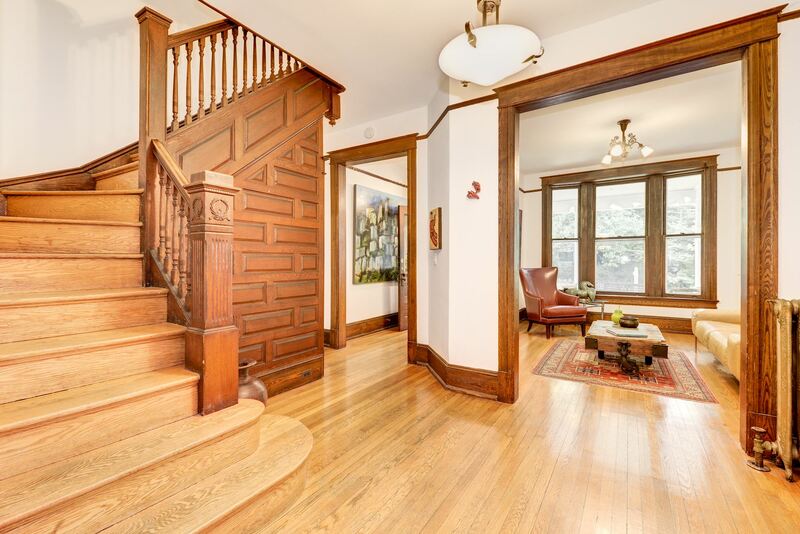 The former rear staircase has been enclosed to cleverly create a walk-up pantry while adding a fifth bedroom upstairs. 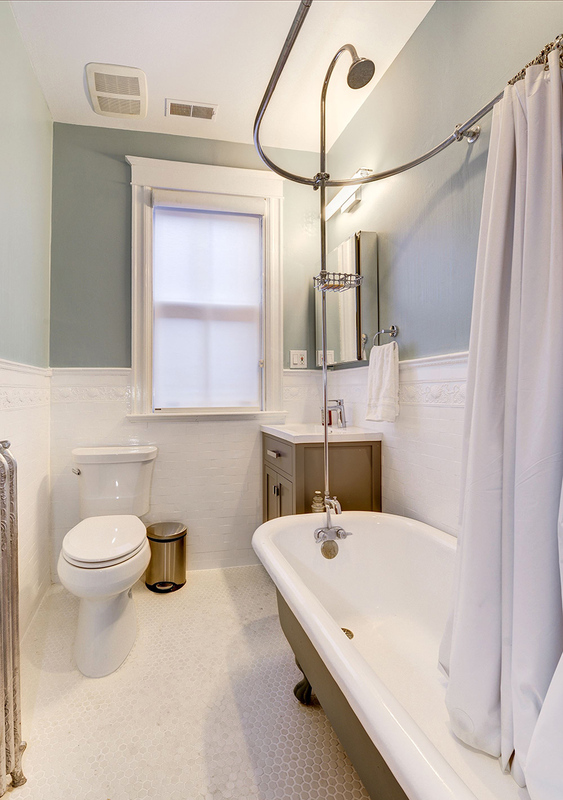 The second level provides three large bedrooms (or two bedrooms plus huge library or family room) and a private rear porch, as well as an updated full bath with clawfoot tub. 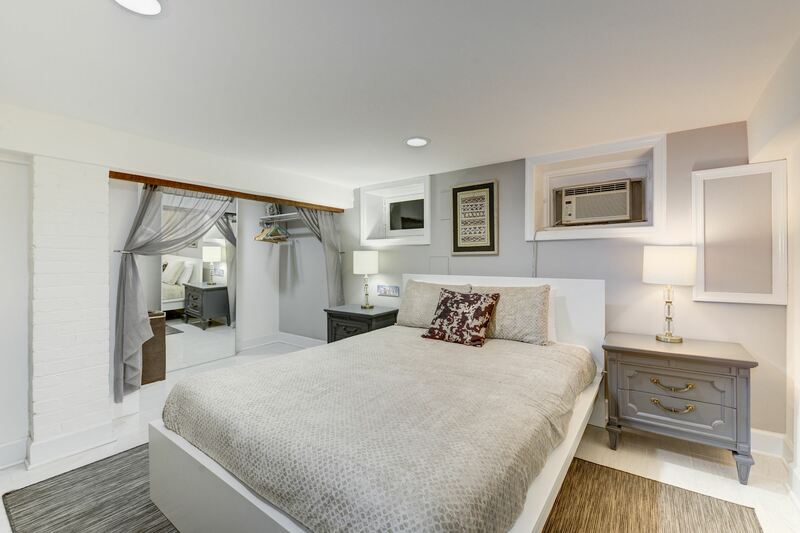 The deep hall linen closet is perfect for installation of your bedroom-level washer & dryer. 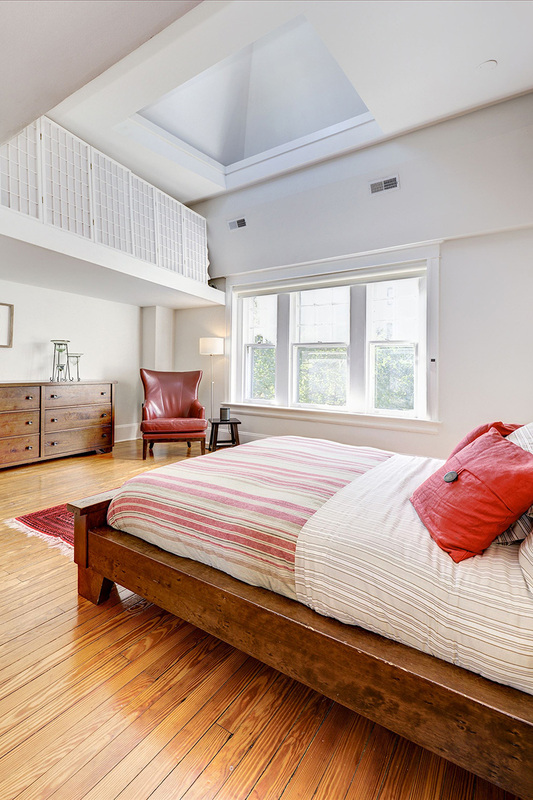 The top floor, with its two large adjoining bedrooms and full bath, can easily be utilized as a private master bedroom suite with loft and en suite dressing room/study. 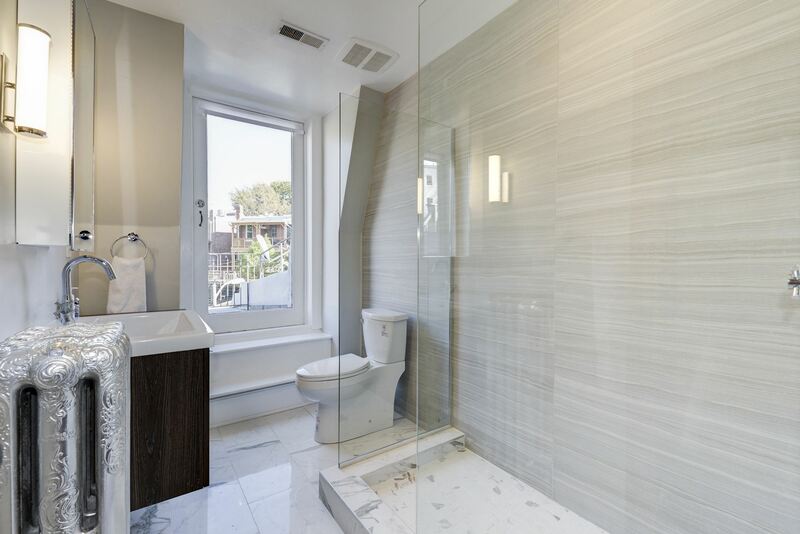 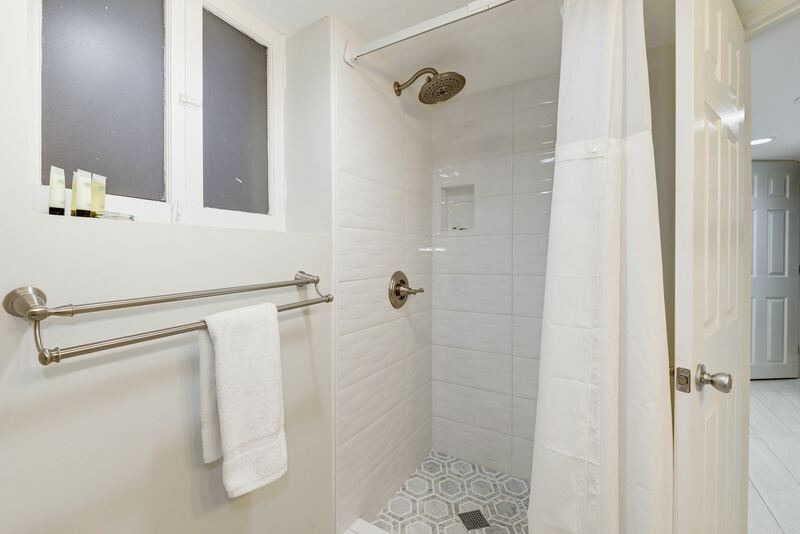 The beautiful spa-like bathroom was completely renovated in October 2018 to include a glass walk-in shower, stunning tile from Architectural Ceramics, floating vanity, updated lighting, and more. 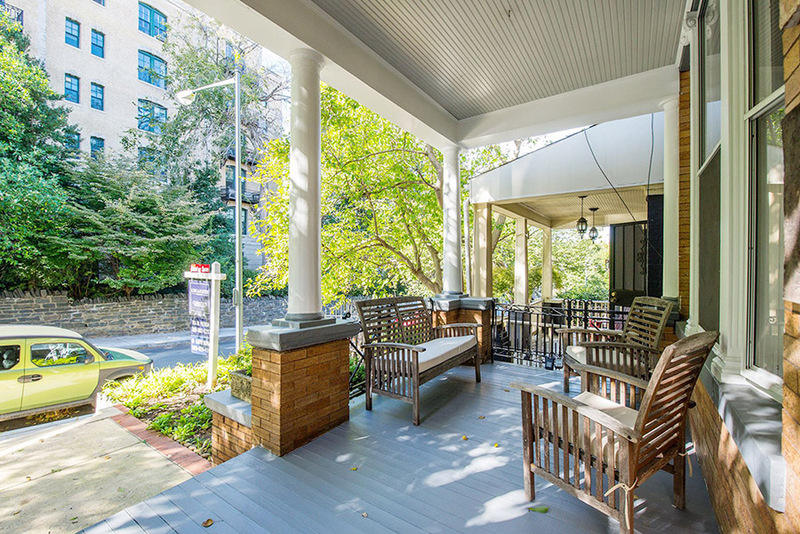 From here, a full-view glass door leads to the roof with fantastic potential for a sun-soaked deck. 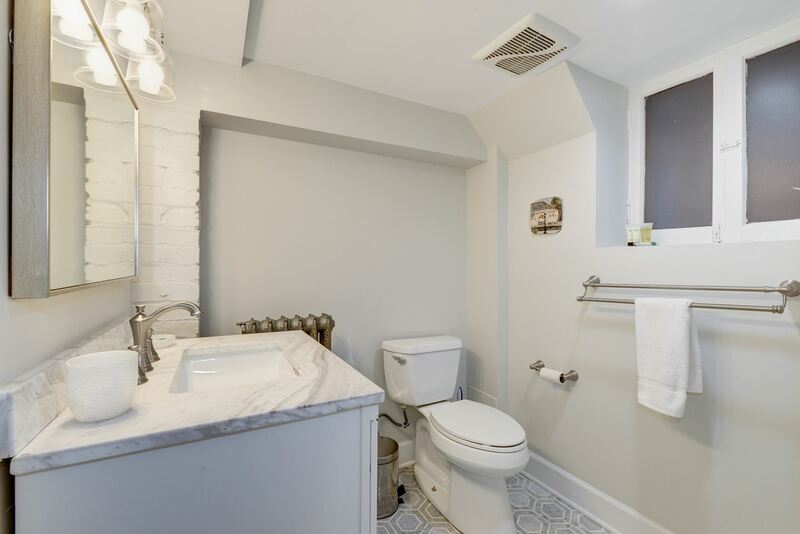 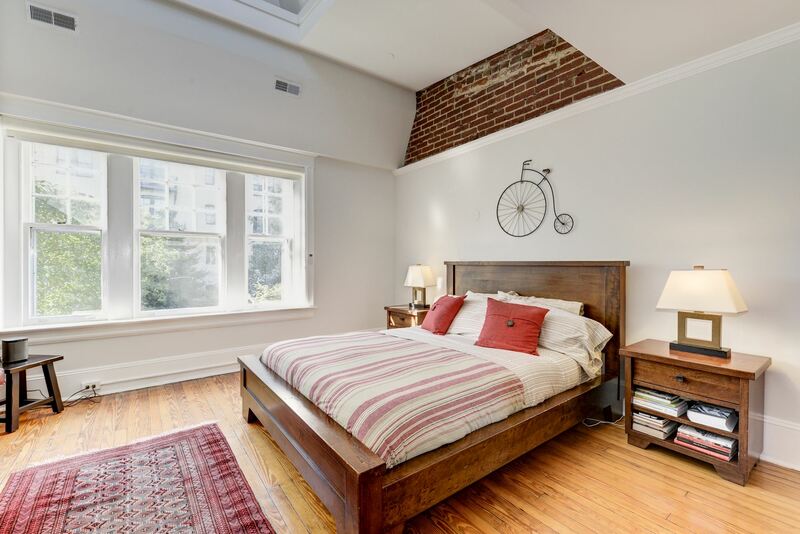 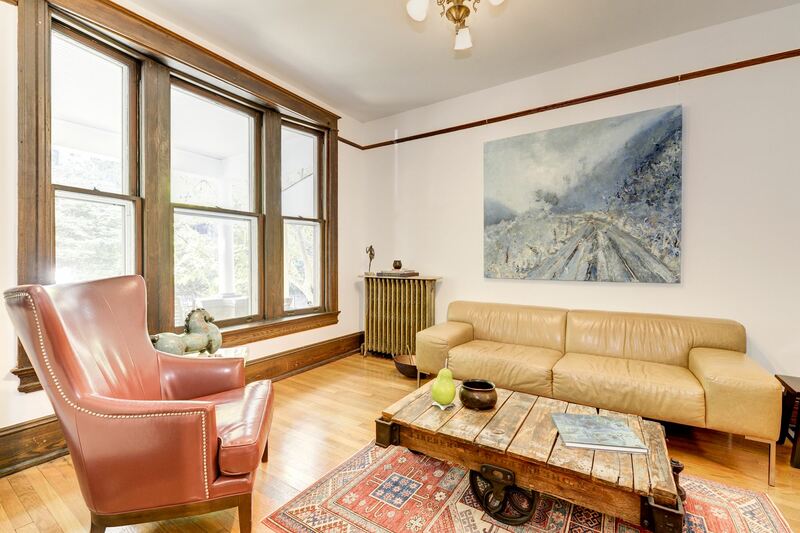 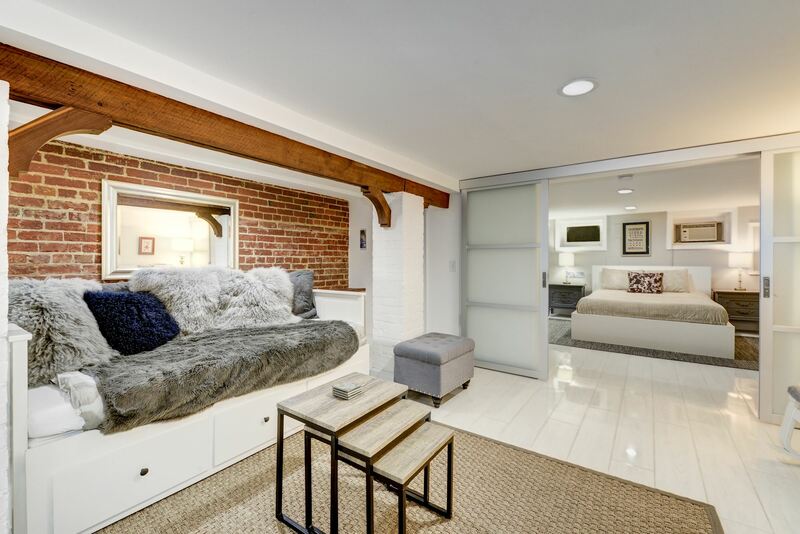 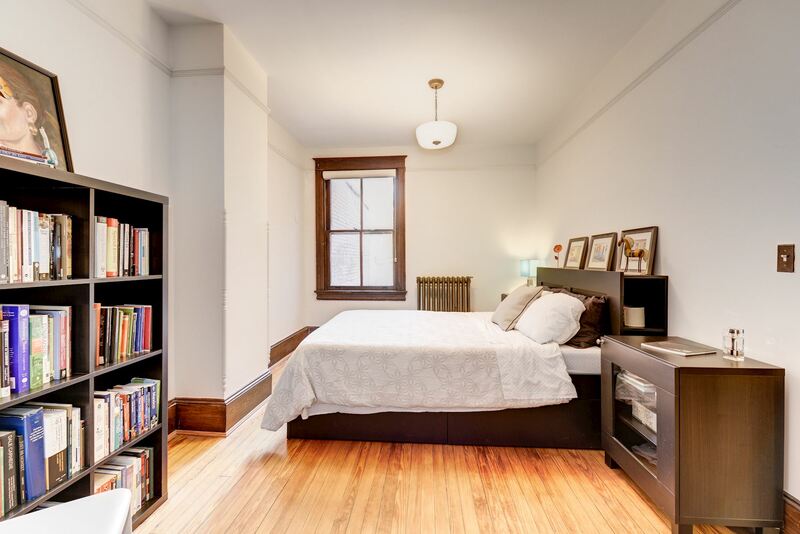 The full lower level has been converted into a stunning one-bedroom, one-bath guest suite with private kitchen, laundry, connecting staircase, and private rear entrance. 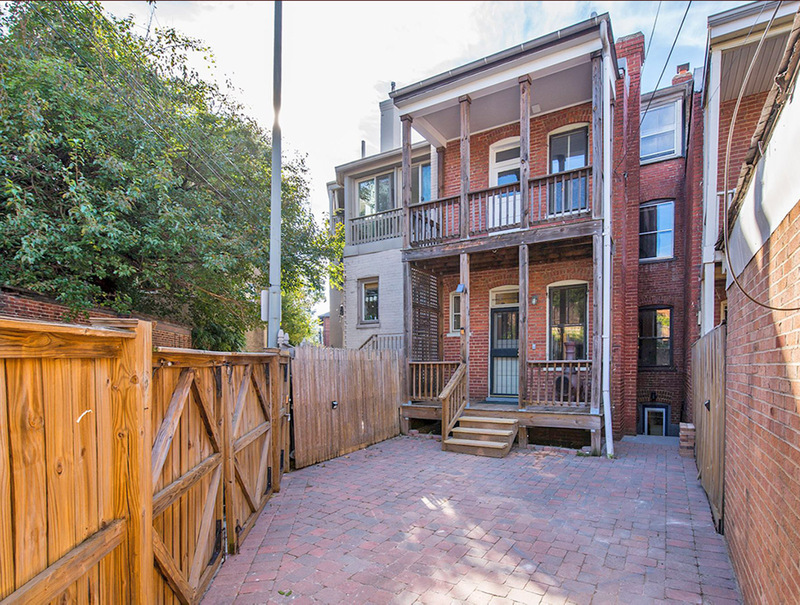 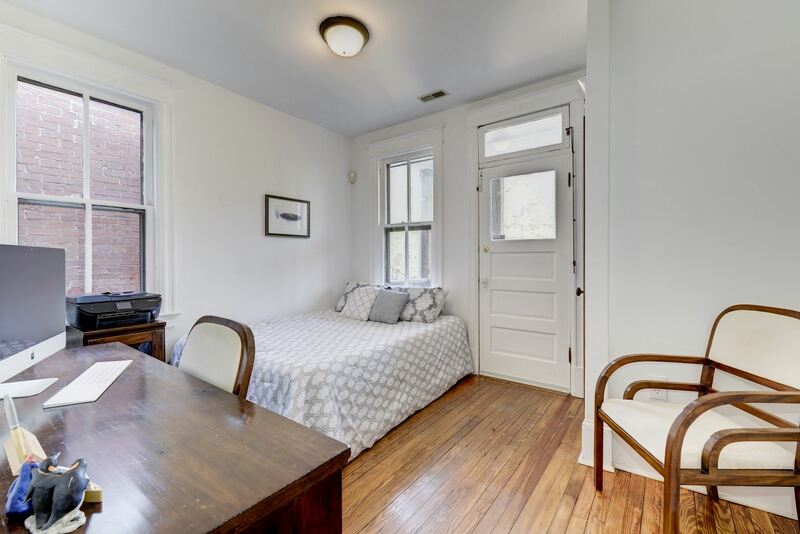 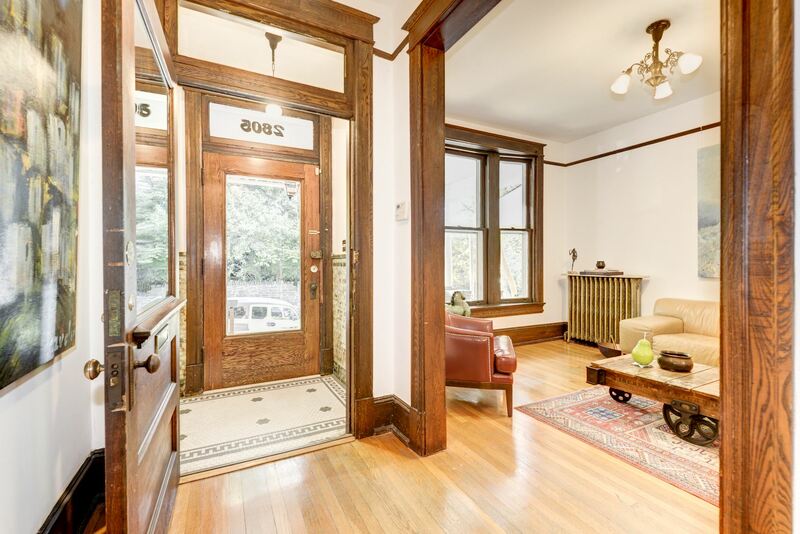 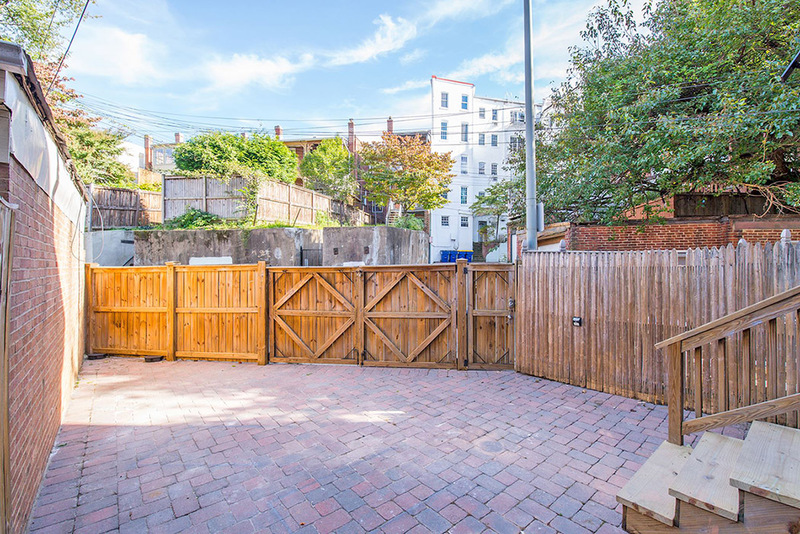 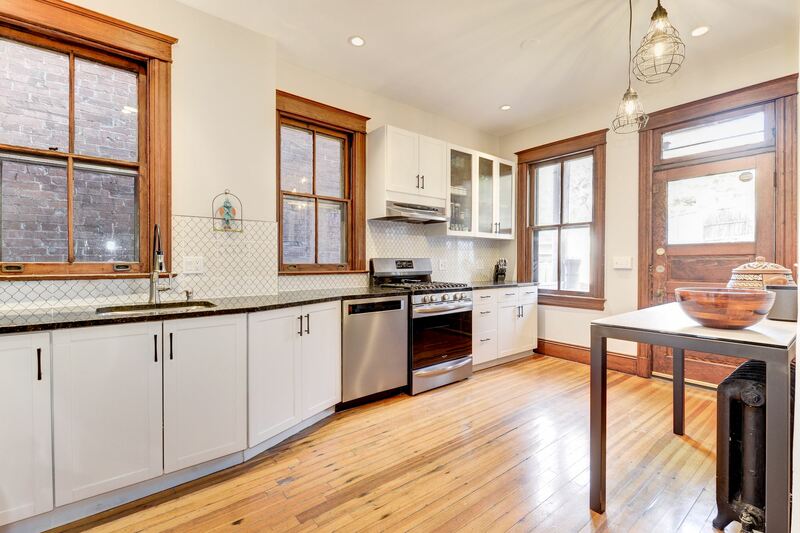 With a columned front porch, two rear porches, and roof deck potential, this home has abundant outdoor space and a secured parking pad which doubles as a patio when not in use for parking. 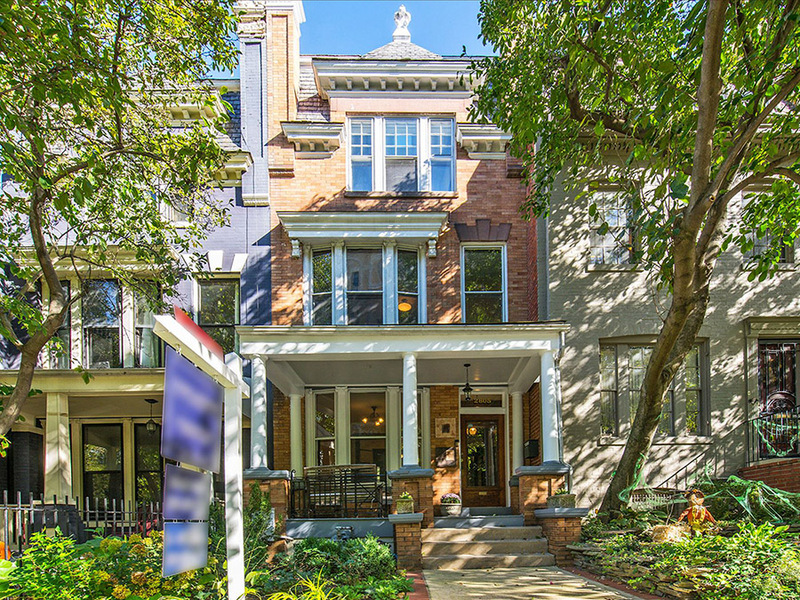 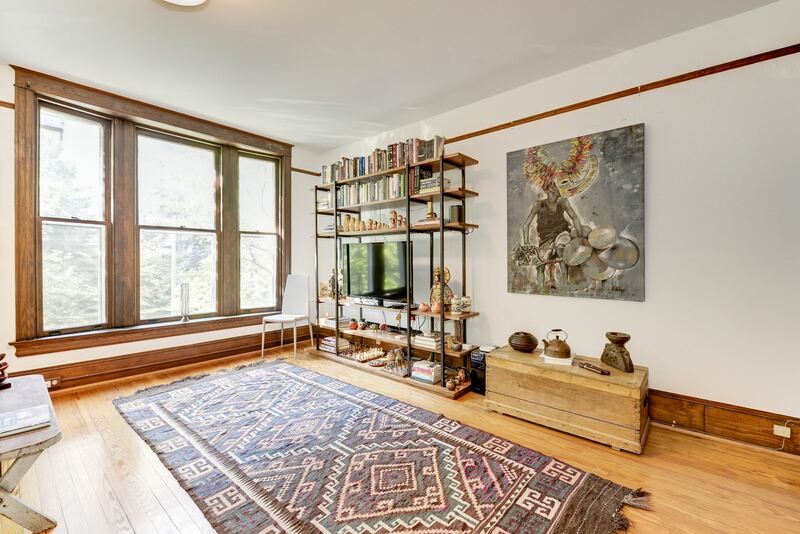 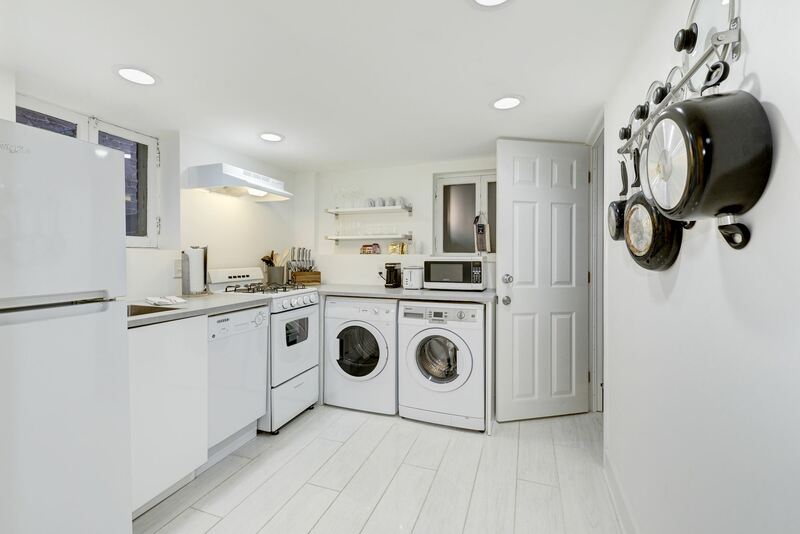 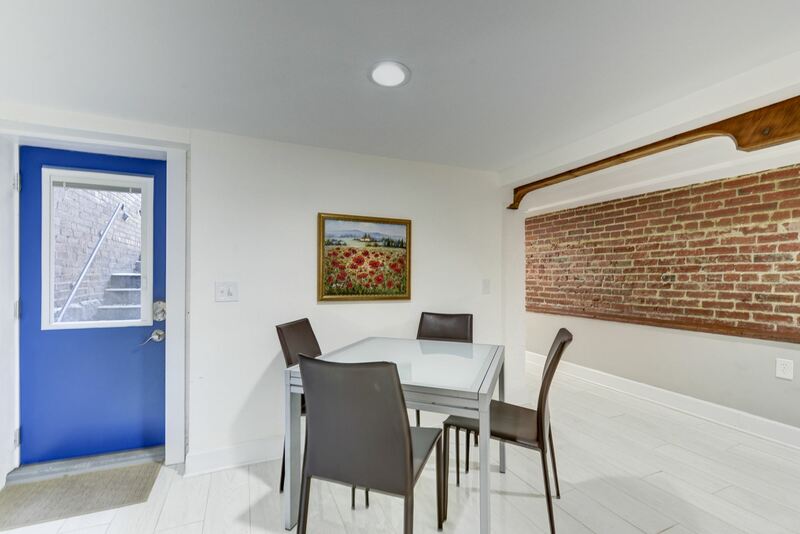 This fantastic location is close to both the Woodley Park and Columbia Heights Metro stations and in easy walking distance from popular dining and nightlife, while still retaining a quiet neighborhood feel at the edge of Rock Creek Park with easy access to downtown DC.